Bizagi takes great pride in the success of our customers, and delivering it means making sure that we are always the best people to help you along in your digital transformation and process automation journey. Here are just a few of the kind words that customers have said about our people and our platform. Take a look at a small selection of our favorite quotes - and hear the benefits in our customers' words. "I think Bizagi’s really got a great team. We really like our sales and support staff. 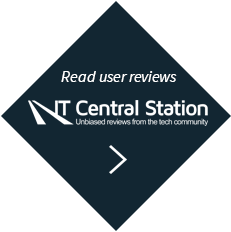 Working with the technical helpdesk I have had better experiences than with a lot of vendors so it has been really pleasant working with Bizagi as a company"
"In terms of technological deployment, Bizagi is one of the greatest assets we have right now in our company." "Bancolombia has more than 16,000 suppliers. Based on the impact on the business we decided to have 50 strategic partners. Bizagi is one of the 50. Since 2004, we are developing a long term relationship based on trust, transparency and results." "When somebody wants to discuss any specific business operations with me, I say: 'make a Bizagi out of it.' Bizagi has become a standard term around the office!" "Clean and intuitive… Bizagi is the Apple of process automation software"
"Bizagi’s BPMS business entity virtualization helps us to deal with complex, relational data by treating it as if it were local. This significantly simplifies the work, promotes re-use and accelerates development." "Data centric system is a foundation for good case management, and this is what Bizagi BPM software does well." "A BPM product that is aptly named: Business & Agility. The platform complies with BPMN and XPDL standards and publishes documentation in different formats. Prices are extremely attractive relative to the project ROI." "Bizagi BPMS is how software products should be: easy to use. Congratulations." "Bizagi Process Modeler is the best I have come across. It's free, easy to learn and comes with a great program of regular updates and enhancements. Thanks Bizagi." "Avoiding traditional project stages (analysis, design, test, etc.) and utilizing agile methods with Bizagi BPMS has many advantages. Mission-critical projects are delivered in weeks rather than months. Process pieces are implemented quickly then improved if necessary." "By reusing 100% of our phase 1 legacy data integration as well as forms widgets and rules, we reduced development time by 50% at phase 2 with Bizagi BPMS." "Integration with existing systems was easy. We can analyze process routes to see the breaches between milestones, and visualize bottlenecks." "Bizagi is the most user-friendly BPM suite that supports BPMN 2.0 all the way from modeling to execution. Bizagi's support team is highly engaged with users, involving them through feedback and providing top-notch customer support." "Bizagi's Shared Data Model removes data from process discussions, significantly accelerating design time. Without this separate data layer capability, BPM systems simply can't cope with complex data structures." "Bizagi's virtualization has delivered immediate performance and quality improvements without having to change the entire back-end. Without the shared data model, this approach would not be practical or cost effective." "Not only is Bizagi Modeler free and exceptionally functional, it's also very easy to use. The online resources and support is very good. What's more, the ability to share and reuse process models means we can extend our Bizagi system fast." "We've experienced up to 50% improvement in process time and encountered nearly zero issues with deployment, stability, and scalability. Bizagi's level of expertise is outstanding and I'd rate the customer service as excellent."